Nin Andrews’ most recent collection, Miss August, was published by CavanKerry Press in 2013. Deborah Bacharach is the author of After I Stop Lying (Cherry Grove Collections, 2015). A two-time nominee for the Pushcart Prize, her work has appeared in The Antigonish Review, The Blue Mesa Review, Calyx, and Dunes among many others. Find out more about her at DeborahBacharach.com. A.S. Coomer is a writer, musician, artist, taco fanatic, and perpetual rain dog. Currently available novels include: Rush’s Deal (Hammer & Anvil Books) & The Fetishists (Grindhouse Press). Forthcoming novels: The Devil’s Gospel (The Wild Rose Press) & Shining the Light (Atlatl Press). He runs Lost, Long Gone, Forgotten Records, a “record label” for poetry. Five of his original compositions were recently featured in the Museum of Americana’s The American Songbook. www.ascoomer.com www.lostlonggoneforgottenrecords.wordpress.com www.ascoomer.bandcamp.com. Robert Eastwood’s work appeared most recently, or is forthcoming, in 3Elements Review, The Bird’s Thumb, Up The Staircase Quarterly, Poet Lore, and The Peacock Journal. His book Snare: was published in 2016 by Broadstone Books. His second book, Romer, is to be published by Etruscan Press in July, 2018. Tara A. Elliott: Tara A. Elliott lives with her husband and son on the Eastern Shore of Maryland where she teaches English. She is the founder and director of Salisbury Poetry Week, serves as a facilitator for Salisbury University’s Lighthouse Literary Guild, and is a co-chair for the 2019 Bay to Ocean Writers’ Conference. She is honored to have been selected as the Maryland Humanities’ Sarbanes Teacher of the Year for 2018. Her recent poems have been published in MER, The TAOS Journal of International Poetry & Art, Wildness, Anti-Heroin Chic, and The American Journal of Poetry. John Grey is an Australian poet, US resident. Recently published in the Tau, Studio One and Columbia Review with work upcoming in Leading Edge, Examined Life Journal and Midwest Quarterly. TS Hidalgo (44) holds a BBA (Universidad Autónoma de Madrid), a MBA (IE Business School), a MA in Creative Writing (Hotel Kafka) and a Certificate in Management and the Arts (New York University). His works have been published in magazines in the USA, Canada, Argentina, Chile, Venezuela, Germany, UK, Spain, Ireland, Portugal, South Africa, Nigeria, Botswana, India and Australia, and he has been the winner of prizes like the Criaturas feroces (Editorial Destino) in short story and a finalist at Festival Eñe in the novel category. He has currently developed his career in finance and stock-market. Maya Lowy: Born and raised in Santa Cruz, California, Maya Lowy completed her MFA at the University of New Orleans in May of 2016. Her poems can be found in Kalyna Review, Quaint Magazine, States of the Union, Bacopa Literary Review, and other publications. Paul Nelson’s 8th book is BURNING THE FURNITURE, Guernica Editions, 2014. His work has won the AWP Award for Poetry, the University of Alabama Press Series Award, and an NEA Fellowship. For a decade, Professor/Director of Creative Writing, Ohio University, now retired, he lives and writes in Sequim,WA. His 9th book of poetry, LEARNING TO MISS, Guernica Editions, 2018 is on Amazon Books, and his first book of fiction, REFRIGERATOR CHURCH, is forthcoming, Tailwinds Press, 2018, a book of stories imagined from decades of local experience in Maine. KG Newman is a sports writer for The Denver Post. His first two poetry collections, While Dreaming of Diamonds in Wintertime and Selfish Never Get Their Own, are available on Amazon. The Arizona State University graduate is on Twitter @KyleNewmanDP. Toti O’Brien is the Italian Accordionist with the Irish Last Name. She was born in Rome then moved to Los Angeles, where she makes a living as a self-employed artist, performing musician and professional dancer. Her work has most recently appeared in Scryptic, Zingara Poetry, the Bangalore Review, and DIN Magazine. Simon Perchik is an attorney whose poems have appeared in Partisan Review, The New Yorker, The Nation and elsewhere. His book of poems, Almost Rain, was published in 2014 by River Otter Press. Find his book D Poems available for electronic download from Triggerfish’s own Penny University Press. Visit his website at www.simonperchik.com. Bonnie Stanard: Arriving late to the writing profession, Bonnie Stanard has published six historical fiction novels in the last five years. Her poems and stories have been published in journals such as Constellations; White Ash Literary Magazine; Chiron Review; and Iodine Poetry. Her most recent publication is a children’s book, Cat’s Fur. She lives in Lexington, South Carolina. Robert Joe Stout is a journalist living in Oaxaca, Mexico, who has contributed nonfiction, fiction and poetry to a wide variety of publications. Much of his writing is focused on social and political themes involving people and events, present and past, that affect the the United States and the country in which he resides. Ann Christine Tabaka lives in Delaware. She is a poet and artist. She loves gardening and cooking. Chris lives with her husband and two cats. Her most recent credits are The Paragon Journal, The Literary Hatchet, Metaworker, Raven Cage Ezine, RavensPerch, Anapest Journal, Mused, Indiana Voice Journal, Halcyon Days Magazine, and The Society of Classical Poets. 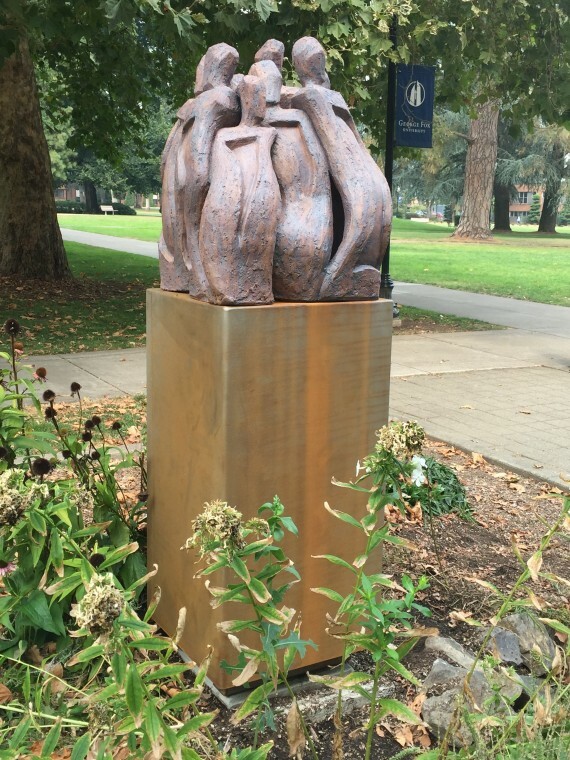 Mark Terry is currently a Professor of Art at George Fox University in Newberg, Oregon. A three-decade veteran educator and long-time Chair of the Department of Art & Design, Terry teaches Art History, Ceramics, Sculpture, Art & Christ and Senior Thesis to undergraduates. His artwork can be found in a number of galleries and collections. Alyssa Trivett is a wandering soul from the Midwest. When not working two jobs, she listens to music and scrawls lines on the back of gas station receipts. Her work first appeared in [now-defunct] Scapegoat Review, has appeared in Peeking Cat, VerseWrights, and recently at In Between Hangovers, Your One Phone Call, and the Piker Press.